Welcome to livefootystreams, a UK web portal providing football fans with the latest coverage of live matches online from legal and official sources. To navigate to a specific match, please use the right side of the website where you'll find games from the UK, Spain, France, Portugal and across the world. 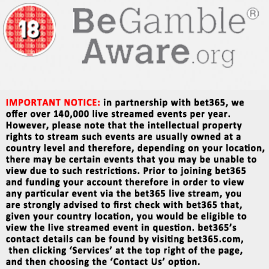 Since livefootystreams provides official streams, please note that these are geo-restricted, and if from a betting site, are 18+ Only. T&C will also apply, and bookmakers require you fund your account and are in a region where the license to view their site, and the stream in question is possible.